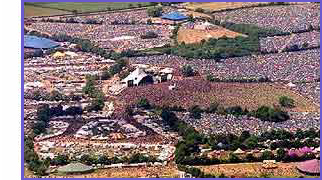 Posts: 1434 The Verve and Kings of Leon will join Jay-Z as headliners of Glastonbury festival this summer. Posts: 2 I must admit as a person who works at the festival for a local charity I do not get lots of spare time but the main stage has never ever been a draw for me. I have watched better acts and bands in the stages on the outskirts more fun and far less commercial and nice crowds. Posts: 20 claps 'subvertjase' for his great point and superb display photo.